This wooden scooter has been well used by all three of our children. It’s a car, it’s a plane, it’s a transporter, and then it’s discarded. 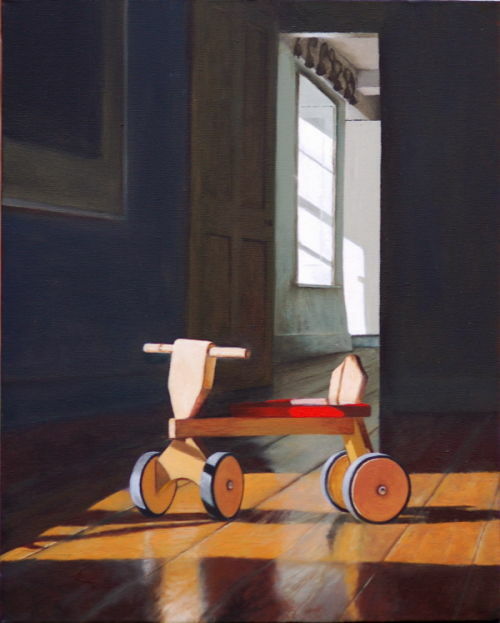 At the end of the Summer holidays, I came across it standing on these wooden floorboards, afternoon sun streaming through the window. Remembering the Summer past and the time moving on, it seemed rather melancholy.